Seniors this year graduate on Saturday, June 8th at the Hillsboro Stadium. In a vote taken before break, seniors got the opportunity to vote on who their speaker will be, and the class quote. Seniors had the option to pick between Senior Class AVID teacher Mr. Wright, football coach Mr. McMenomy (affectionately known to many as “Mac”), and perpetual favorite of the student body, Mr. Bohm. The speaker has been announced, and the Class of 2019 has chosen Mr. Bohm to speak at their graduation. This is not the first time Mr. Bohm has been approached about speaking at graduation, but this is the first year he has agreed, and the vote came out in his favor. “I am extremely honored and excited to have been chosen to be the speaker this year, for my favorite class.” He stated, expressing his eagerness and nerves for the speech he will give in June. The senior class also had the opportunity to pick their quote from two, administration approved selections. They selected “What comes will come, and we will meet it when it does. “I think our class motto is very suitable for life. It’s classy, and it gives off the message of staying calm through life. I think it fits our class personality very well; I think that meething things when they come allows us to focus on the present and not spending our time distracted and stressed.” says Bayne, on her opinion of the quote. For many, the new year has made graduation a pressing reality instead of an abstract, far off date. 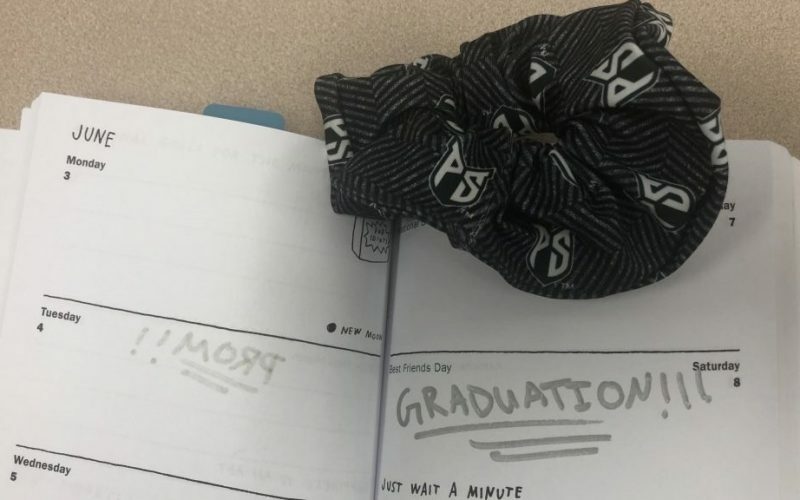 With deadline after deadline that needs to be met in order to walk across that stage, many seniors are feeling the pressure like never before. Initial transcripts will be sent to colleges and scholarships around the world, either opening doors or slamming them shut for Century seniors. The pressure to maintain that 4.0 or just be sure you have met all of your essential skills and are passing the core classes necessary for graduation. If you have been busy, distracted, lazy, or any combination of the stated, the deadline for FAFSA submission is June 30th, so you still have time. But don’t forget the reminder counseling has mercilessly hammered into our heads; the faster you finish and submit, the more money you will likely receive. Ms. Brokaw wants to remind students of their options if college is not the path they want to take. “I think any training you could do after high school, it doesn’t have to be college, it doesn’t even have to be PCC, but look at trades, or beauty school, mechanics, whatever it is that inspires you, because you definitely want more education than just your high school education. Even if you have no plans now to go to college, it’s important to submit your FAFSA and complete you application for the Oregon Promise, as you never know where the next six months are going to take you. Speaking of, the Oregon Promise application is now open, and it’s essential to submit your application before the end of the semester so that counseling can verify your GPA the second transcripts become available. If you turn it in after, you will have to deal with an official transcript request, which is significantly more difficult and time consuming than the former. Another important step to graduation to keep in mind is your senior project. Senior projects are a requirement to graduate, and often take hours of work and planning to be successful. It’s definitely exciting. “I’m super excited for graduation. 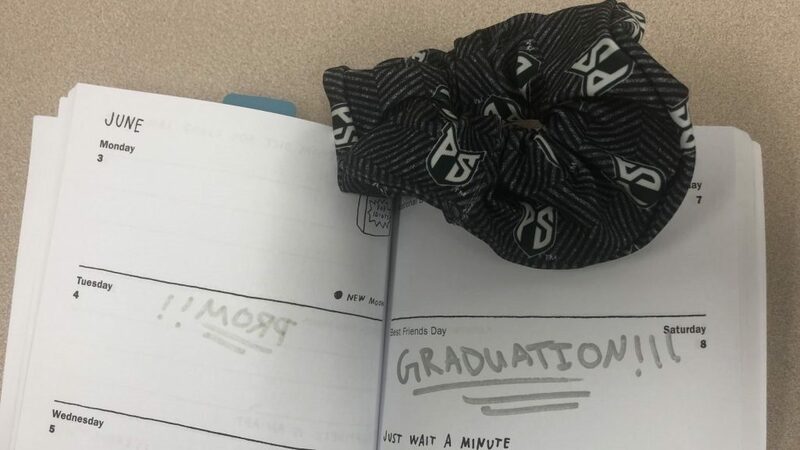 I think our whole class is feeling more than ready to graduate now that it’s our last stretch of high school.” said Bayne. So seniors, here’s your cue to get off your phone and finish that essay, submit your FAFSA, and start picking out your graduation outfit, and do everything in your power to make sure you will be walking across that stage with the rest of us.